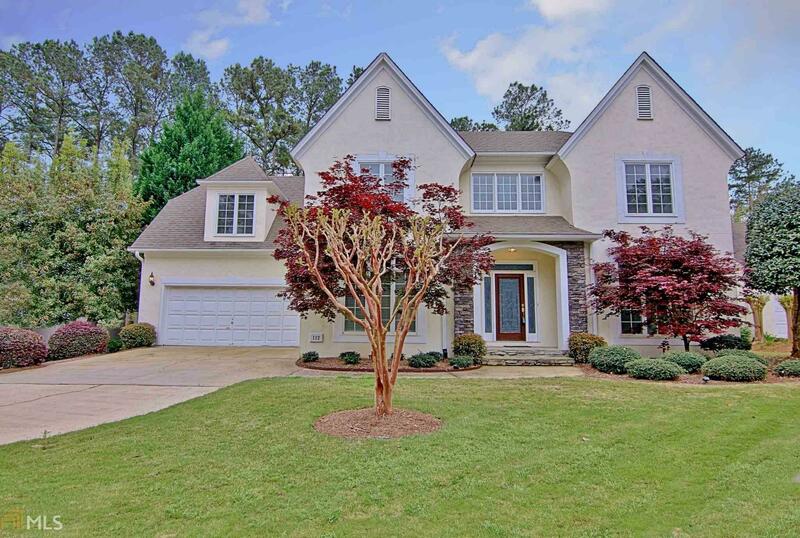 Beautiful bright and open home in the heart of PTC and on the golf course. Two story foyer, formal dinging room with h/w&apos;s. Formal living room/office. Two story family room w/ fireplace and hardwood floors. Open to breakfast area and kitchen w/ ss appliances & cabinets w/ roll out drawers. Butler&apos;s pantry, and laundry room off kitchen w/cabinets. Master suite on main with doors leading to large deck overlooking golf course on the 9th hole! Master bath w/custom tile shower and garden tub, double vanity and lg walk-in closet. Upstairs boasts of bonus room and loft. 3 spacious bedrooms, one with walk-in closet and en-suite bath. 2nd and 3rd bedroom share a bath. Golf cart garage in back w/ custom brick drive. Large deck great for entertaining. Directions: From Ga-54/W Lanier Ave, Turn Left Onto Flat Creek Rd. Turn Right Onto Madison Ave. Slight Right, House Will Be On The Right.